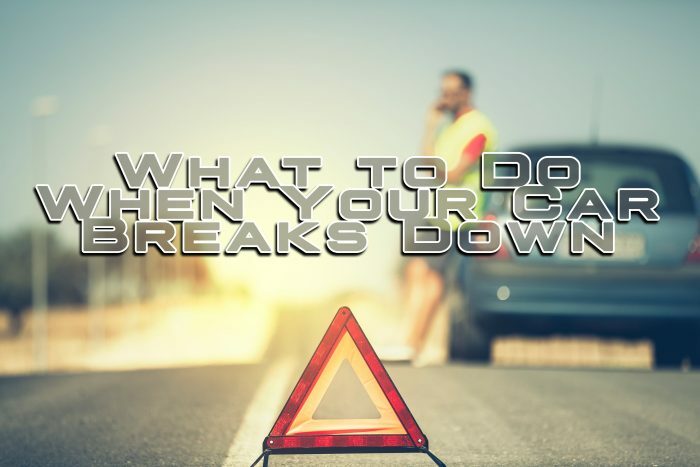 What to Do When Your Car Breaks Down – The Insurance Buzz! It’s late–about ten o’clock on a Friday night. It’s pitch black outside, except for the occasional neon sign while passing a business on the side of the road. You’re on your way home from a night out with your friends. All of the sudden, your car is making a funny noise and rumbling a bit. Your car has been having a few issues lately, and now it’s preventing you from going where you need to be. You’ve got no choice but to pull over on the side of the road. It’s never an ideal thing for our car to break down on us, especially when we’re out and about and it’s dark out. Imagine this situation happening to you. Are you prepared? Follow these suggestions for staying safe if your car breaks down while travelling. Pull off to the side of the road. Park on the shoulder to avoid any accidents with traffic. If possible on the highway, take an exit to find a nearest gas station. To make your car visible, you can turn on your hazards. Use your cell phone to call roadside assistance if you have it. If you do not have roadside assistance, call someone close to you to pick you up. That way, you can wait until the sun is out to deal with your car situation. It’s safer in the daylight. If you feel you are in an unsafe area, stay in your car. Lock the doors. If you must, call the police to assist you and keep you safe. In circumstances like this, it’s a great idea to keep a form of protection in your vehicle, such as mace. If someone stops to help you, it’s a good idea to only slightly open your window. Let them know you’ve already contacted the police. That way, if their intentions aren’t good, they’ll know police will be there shortly to assist you. If you are approached by someone who seems dangerous, it’s a good idea to draw attention to the situation by honking your horn and flashing your lights. Make sure you know the location of your vehicle if you must leave it there overnight. It’s a great idea to learn how to change a flat tire and keep all the necessary tools along with a spare tire in your car at all times. Keep extra coolant in your car just in case you need it. Keep a heavy coat and blankets in your car in the wintertime. Have extra drinking water in your car. Remember to always stay calm in situations like this. Keep in mind that most insurance companies offer a roadside assistance package that you can purchase to help you in situations like this one. ← How Are Speed Limits Determined?